(fruits from the frying pan), OCast juncadas, Eng fried dough. It is a fried dish that could be anything from chicken liver to fried herbs and includes fritters, churros, buñuelos, pancakes, and raviolis, raw fritter dough and fritter stuffing. The majority of recipes, which were Hispano-Jewish specialties as well, are based on cheese or dipped in eggs or egg yolks. Then it is coated with a sweet, spiced flour mixture or wrapped in a thin piece of bread coated with honey, rosewater and cinnamon and/or sugar before serving. In the Middle Ages it was served as a dessert. Later, it became a common Christmas treat. 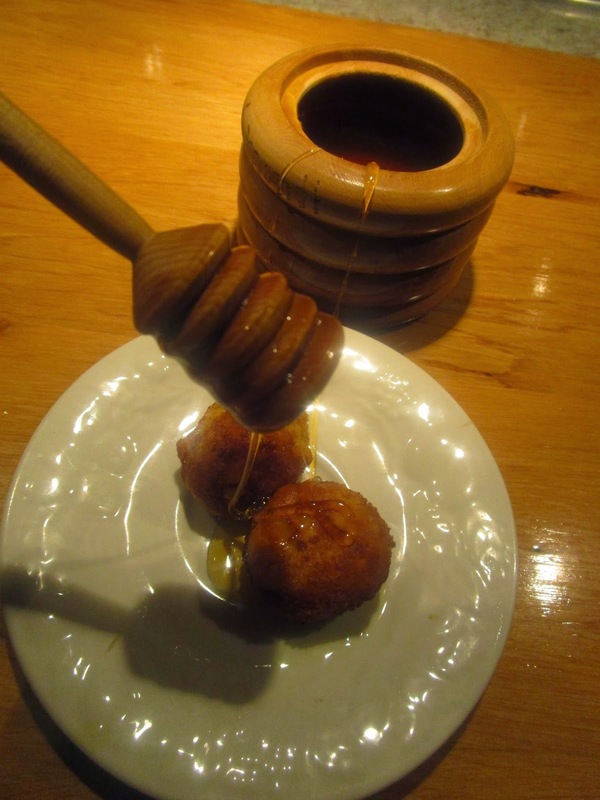 In mid-15 C Asturians ate them like cheese sticks and today it is served as a hors d’œuvres like fried mozzarella. Note in this case there is no fruit, but the product of frying. Grate aged grated cheese. 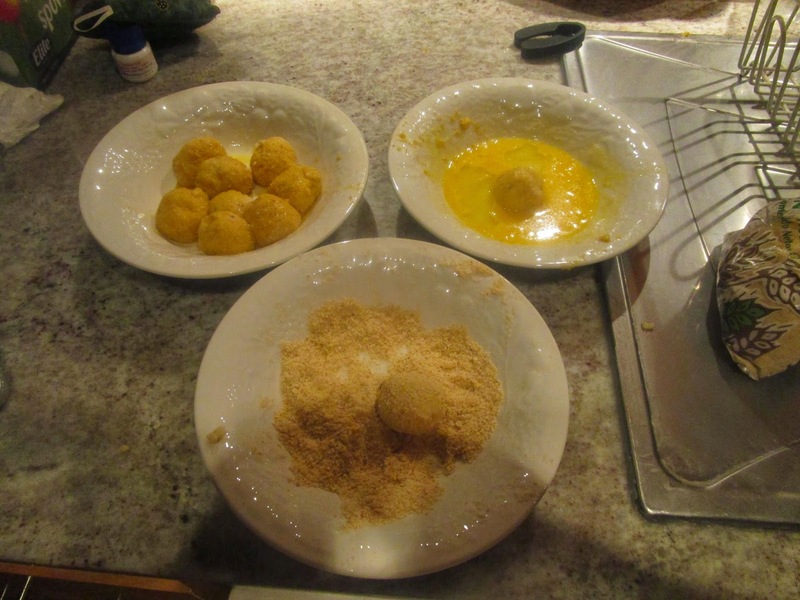 Mix it with the other ingredients, Make small balls and dip them into flour and then coat them with egg. Heat lard and fry them. Many thanks for pointing that out. In fact Nola only mentions lard when I originally listed margerine or olive oil. Now I have corrected that.